Live the Good Life in this spectacular Windsong floor plan with the West Indies Elevation, by GHO Homes in Lake Sapphire! Lake Sapphire is a natural gas community so you will enjoy cooking on your 36 inch, 5 burner gas cook top. The Kitchen offers granite counter-tops and soft close drawers. Tumbled marble backslashes finish off the elegant look of the kitchen. The Kitchen cabinets are level 2, with upper molding and under cabinet lighting. Flooring choices are Level 3 tile throughout the home. There is Crown Molding in the main Living areas of the home, as well as the Master Bedroom Suite. All homes in Lake Sapphire come standard with a customize able 12 x 24' pool, complete with travertine brick pavers and screen enclosure. 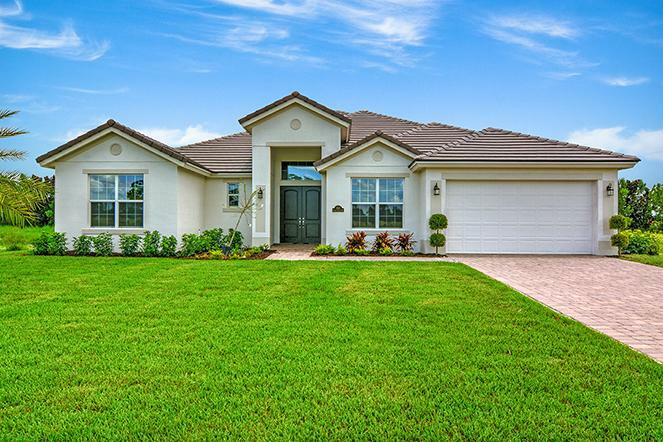 Enjoy the quiet serenity of this lovely GHO Homes community.